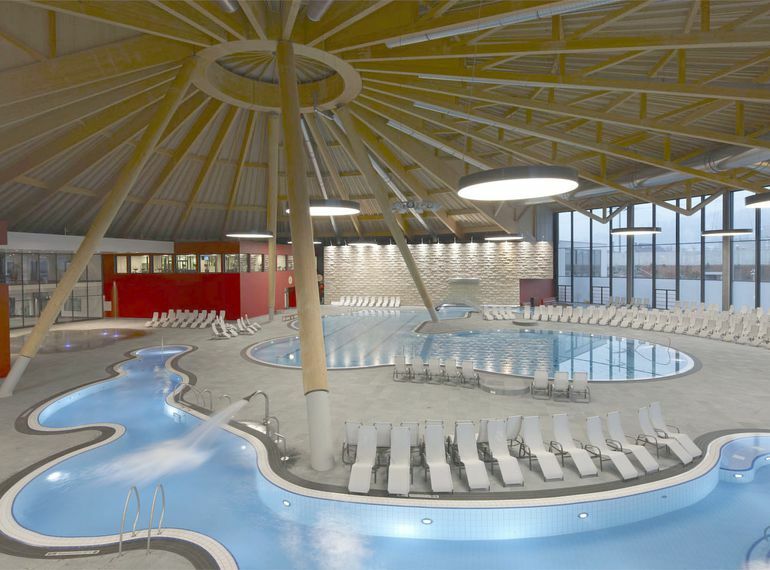 The aquabasilea in Pratteln is the most diverse water and wellness world in Switzerland with its high quality facilities and activities that stretch over 13,000 square metres. The aquabasilea is compellingly enticing with its comprehensive range of services and treatments in the area of health, wellness and well-being, as well as sports, fun and action – with the ideal use of resources in a sustainable manner. The classic tradition of bathing is always accompanied by the profound experience of relaxation, health and enjoyment. The feeling of experiencing enjoyable healthy living at the aquabasilea is unleashed through its high quality features made of natural materials and its exceptional design. Whether you are surrounded by the native woods, original Jurassic limestone or dark serpentine, at the aquabasilea you are at one with nature every step of the way. The “Verzasca valley-mountain stream” surrounded by a modelled rocky landscape, and a wild creek in a natural setting are just two examples.